Magnesium More on this topic. 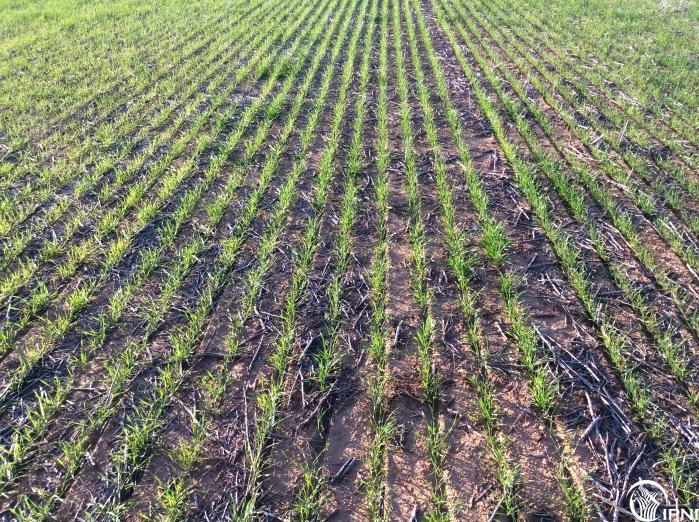 Magnesium deficiency is not common in Australia, although on sandy acid soils it can be seen. The best diagnosis is using soil tests, deficiency symptoms and plant tissue tests. Treatment can be using dolomitic limestone or other magnesium containing fertilizers. 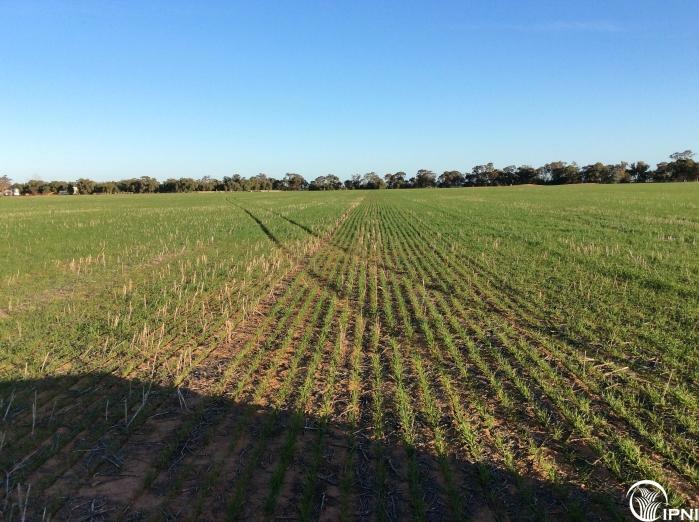 Matt Nihill, Agronomist at Landmark in Elmore saw symptoms in wheat paddock in 2015, with patches of good and poor growth across the paddocks. The symptoms appeared to match magnesium deficiency (see pictures) which shows as chlorosis because Mg is the central atom in chlorophyll. 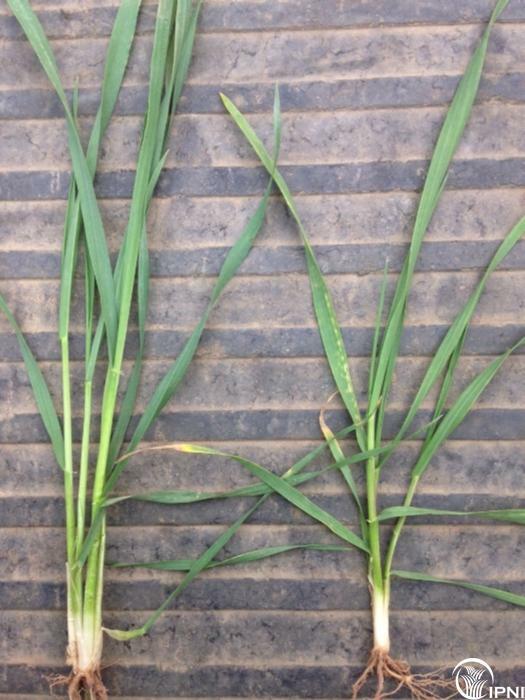 Symptoms are seen typically on the older leaves, and can be worse under dry conditions as Mg moves to the plant roots via mass flow (ie with water). He took paired soil samples from the good and poor areas - the results are in the table below. The soils are moderately acid and light (low CEC). The values for Magnesium are lower in the poor sections than the good sections of the paddock, and those areas are also lighter and more acidic. Magnesium is held relatively weakly on the cation exchange complex, and under acid and wet conditions can leach. High levels of H+, Ca2+ and K+ all compete for uptake sites in the roots and so reduce the capacity of the plants to access the Mg present. 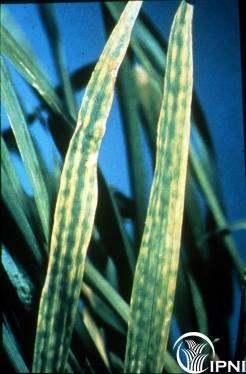 Plant samples were taken and showed moderate levels of Mg in the "Good" compared to the "Poor". The soil tests, tissue tests and plant symptoms all pointed to Mg. 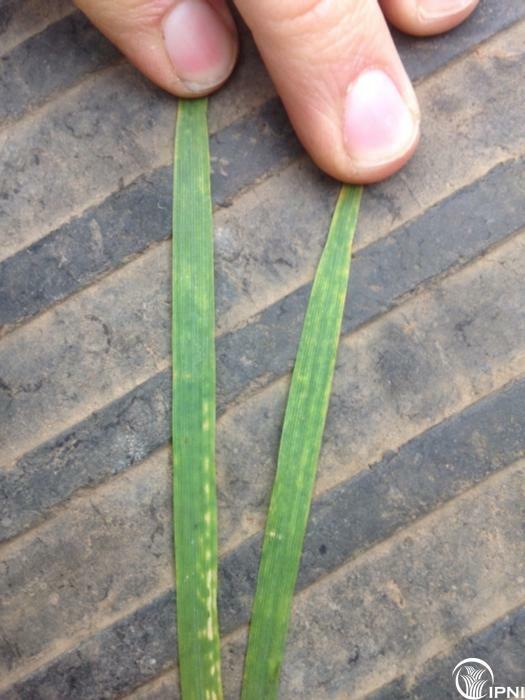 However, the paddock was treated with foliar Mg which did not show up any particular response. This may be a result of the low rate used and/or the dry conditions that followed. Samples from the "good" sections in the paddock. Low Mg- others OK except Cu. Samples from the "poor" sections in the paddock. Very low Mg, and somewhat lower macronutrients - possibly because of slower growth and poor carbohydrate transport.